I hope that all of you had a fabulous Christmas celebration! The celebration isn’t over for me as my family is here one more day! I hope that Clay Aiken had a fun day! He was at the Imperial Theater performing in Ruben and Clay’s Christmas Show. I am sure he had a great performance and I bet he might have added a bit to the chatter because of Christmas ! Clay and Ruben were guest performers on the TV show, Fox and Friends on Christmas Day. They sang ‘Have Yourself a Merry Little Christmas’. Both Ruben and Clay sound so good singing this song! 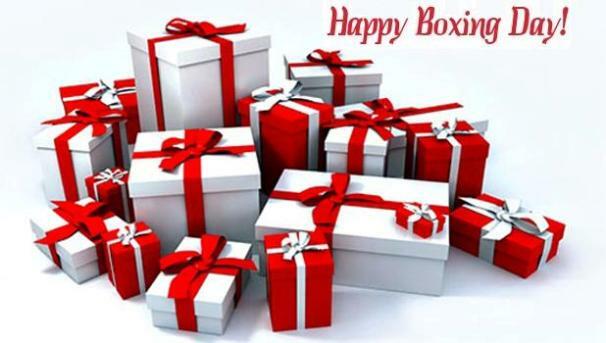 Did you know that today is Boxing Day? It was also traditional that servants got the day off to celebrate Christmas with their families on Boxing Day. Before World War 11, it was common for working people to travel to their delivery places and collect their Christmas Box or tip. This tradition has now mostly stopped and any Christmas tips are not normally given or collected on Boxing Day. The talented SueReu put together a touching video montage of Clay singing All Year Long. Thank you Sue…it’s like a wonderful Christmas Present. ENJOY!! Beautiful music performed by our two Christmas guys! Thank you for sharing! And Thank you, SueReu for Clays' montage of "All Year Long"
Thank you sue for keeping us informed. Love Clay and Ruben. Thank you CANN and SueReu.That is of my favorite songs sung my favorite singer. Clay Aiken. Thanks for posting the performance by Clay & Ruben from Fox & Friends. I would have missed it since I never watch that channel. Just resting up today from all the festivities of the past couple of days. Error: Error validating access token: Session has expired on Tuesday, 21-Aug-18 16:13:01 PDT. The current time is Friday, 19-Apr-19 05:42:28 PDT.